Do you own a MINI and are looking for an auto repair shop that specializes in MINI service and repair? Your search is officially over, as the team at Bimmer Rescue is the go-to choice for MINI owners throughout Richmond, Short Pump, the West End, and the Fan District. Our technicians are factory-trained, experienced, and educated in the service and repair of these German cars, and you can expect to receive service that is nothing less than the best. Your MINI is a fun and sporty vehicle, and to make sure it stays this way, routine maintenance and repair is a must. At Bimmer Rescue, we are trusted to service MINIs from all over Richmond, Short Pump, the West End, and the Fan District. It is our job to keep your MINI up and running, and we take our job very seriously, which is on the reasons why we perform a vehicle health check on every vehicle that comes into our shop. 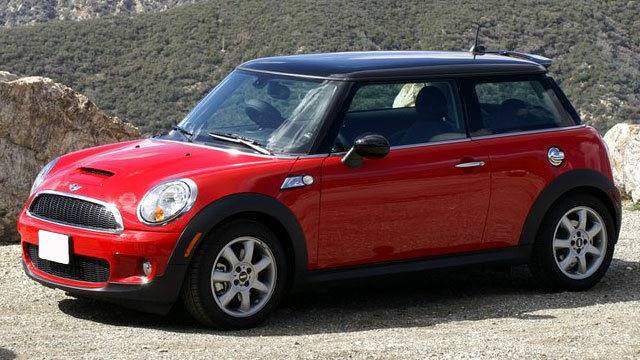 We will thoroughly inspect your MINI and provide you with an accompanying report. “So happy I found Bimmer Rescue! They took an old tired MINI Cooper and turned it into a young spirited roadster. Mike and Patrick really know MINI's. The MINI Dealership said I needed a new clutch and new convertible retractions cables that would cost me thousands. Bimmer Rescue inspected both and said I had many more miles left on those components and that there was no need to replace them! Also, the performance package they installed just makes the old girl fly. Many thanks to consummate professionals at Bimmer Rescue! Cheers Mate!” -- Nikki M.
When you bring your vehicle to us for MINI service and repair, you can expect to receive more than just general auto repair. Bimmer Rescue is built on a foundation of transparency. Regardless of the service your BMW, MINI, or Audi requires, our auto mechanics will perform a vehicle health check, providing you with a crystal-clear report. Using this report, like a road map to your car’s future, we will decide on a customized maintenance plan. Together, you, armed with the knowledge of your car’s current condition, and our team, equipped with expertise and experience, will keep your car running down the streets of Richmond, Short Pump, the West End, and the Fan District, for the long-term. Schedule an appointment today. We are located at 6401F Dickens Place, Richmond, VA 23230.